1894 Westholme, 1 Water Street, Wahroonga. 1896 Midhope, 60 Burns Road, Wahroonga. 1899 Redleaf, Redleaf Avenue, Wahroonga. 1900 Eldinhope, 47 Burns Road, Wahroonga. Howard Joseland, architect, was also the founder and the first Secretary of the Rod Fishers’ Society. Howard Joseland (1860-1930) was an English architect who migrated to Australia and pursued a successful and influential career there. Richard George Howard Joseland was born on 14 January 1860 at Claines, Worcestershire, England. In the early days of his career, he was articled to the Haddon Brothers at Hereford, but moved to London in 1881. There, he obtained a position as assistant to George Robinson in the architectural company George Trollope and Sons. In time, his health suffered as a result of overwork, and he was advised to migrate to a more temperate clime. He went to New Zealand, where he worked on the railways for six months. He then moved to Sydney, Australia, in 1888, where he married Alice Taylor. In Sydney, Joseland met Walter Liberty Vernon, another English architect who had migrated to Australia for health reasons. The two architects joined forces and entered a competition to design a model suburb [Centennial Park?]. It was the first of several projects they would work on together. 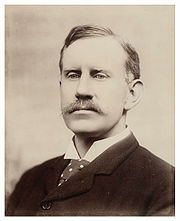 In 1890, Vernon became New South Wales Government Architect, as a result of which he handed his private practice over to Joseland. Joseland had relatively little work during the Depression of the early 1890s; The practice took on a variety of commissions, including commercial buildings, but Joseland’s clientele was predominantly well-off people who required comfortable homes. Many of them were moving into the new residential areas in Sydney’s north, where suburbs like Wahroonga and Warrawee developed. Joseland is credited with designing something like nineteen homes in these areas. His output included his own home, Malvern, which he built in 1900 in Burns Road, Wahroonga. He designed it in the Federation Bungalow style, featuring a prominent veranda to create shade. From 1914 to 1919, Joseland conducted a solo practice before joining forces with Glynn Gilling, another young English architect who had migrated to Australia. Joseland retired in 1929, selling the business to Gilling, who retained the business name Joseland and Gilling. Joseland was active in various community activities and musical societies, as well as being a keen fisherman and author of the book Angling in Australia and Elsewhere, which was published in 1921. He also found time to visit England twice with his wife Blanche. He died of cancer in the eastern Sydney suburb of Darlinghurst on 20 July 1930, and was buried at South Head Cemetery in another eastern Sydney suburb, Vaucluse. Joseland was one of the earliest architects in Australia to reject the Victorian architectural styles that had developed in England and which had little relevance to the Australian climate. He wrote a magazine article, Domestic Architecture in Australia (published in 1890), in which he advocated architectural styles that were suitable for the local climate. Like Walter Liberty Vernon, he favoured the styles of the Federation era (1890-1915) and actually contributed to the development of the Australian version of the Queen Anne style, which ultimately became the most popular residential style in Australia in the first decade of the 20th century. This latter style had arrived in Australia in 1885 with the construction of Caerleon, Bellevue Hill; its influence can be seen strongly in the homes Joseland designed for his clientele, along with the Arts and Crafts style that was also popular. “The design is a particularly fine example of the architectural idiom which expresses the transition from High Victorian style to Australian Federation style, with the two-storey verandah, its soaring chimneys, gables and bays arranged asymmetrically being typical of this style. Mount Alverna was built for ophthalmic surgeon Dr Francis Antill Pockley. The property become a retreat and monastery for the Franciscan Order from the 1950’s to the 1980’s. Designed in Arts and Crafts style for John Bennett, built 1894. “Landmark Early Federation residence designed by renowned architect Howard Joseland. 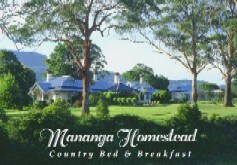 Built 1894 for the Stuart Family by John Hay who was the manager of Alexander Berrys Coolangatta estate. “There are two front gabled projections; one interrupts the verandah; the other projects over it. Construction is of weatherboard with unusual timber decoration to gable ends. There is a complex slate roof, including skillion verandah, terracotta ridge capping and apex ornaments and tall brick chimneys, one of which is constructed on the diagonal. There is a faceted bay window, with stained glass panes, under one of the front gables; and a verandah with a striking fretwork fringe under the other. Brackets to verandahs are large. The interior joinery is cedar and although a fire in 1981 seriously damaged the roof the integrity of the interior woodwork was mainly preserved including part of the original lathe and plaster ceilings. Built 1896 for Sir James Murdoch, then became St Edmund’s School for Children with Special Needs. Built in 1899 for W.G. Parish in Queen Anne style, considered an important example of Joseland’s work. Has Local Government Heritage listing. “Redleaf is a substantial brick two-storey residence built for W.G.Parish of the Sydney legal firm Parish Patience and McIntyre. “The house was one of the first generation of houses built in Wahroonga with the coming railway. It was designed in 1899 in the Federation Queen Anne style with arts and crafts details. The design was avant-garde in its time, and the house is now rare for the high integrity of its interiors, particularly the living area and the kitchen wing. 1900 Craignairn, 37 Burns Road, Wahroonga. Built for Walter Strang. 1900 Malvern 41 Burns Road, Wahroonga, his own home, where he lived for over 20 years. “Architect Howard Joseland who designed Craignairn for Walter Symington Strang in 1909 was (his) neighbour and friend. On 8 February 1899 Joseland and Strang had purchased adjoining lots in Burns Road. A few days later Joseland began preparing plans for both Coolabah at No 39 for Strang and his own house Malvern at No 41 Burns Road, Wahroonga . When Strang decided to build a new residence he chose the adjoining lots of land on the corner of two main roads, Burns Road and Cleveland Street. The architectural firm Joseland and Vernon designed the house and were also commissioned to design the garden, trellis-work and pergola. This group of three adjoining residences Craignairn, Coolabah and Malvern designed by Joseland is unique. – Jennifer Harvey for Ku-ring-gai Historical Society Inc.
“Eldinhope was designed by Howard Joseland for Miss Florence Hooke. Eldinhope, operated from 1901 until 1932 at 47 Burns Road, then in the St Andrew’s Church of England Hall until 1939. Designed for Florence Hooke circa 1900, became Eldinhope School for Girls in 1901. The home was completed c.1900 and the Eldinhope School for Girls began in 1901. Miss Hooke was assisted by her two sisters, Edith (who had previously started Wenona College), and Bessy, who taught music. Florence herself taught art. Until 1910 it was for day-girls only, but in October 1910, boarders were enrolled and lived at “Malto Ende”, on the corner of Lochville Street and Grosvenor Road. In 1932 Miss Hooke sold the school to the Misses Robinson of Lindfield, who then conducted the school in the hall of St. Andrews Church. The school closed at the end of 1939. “The house is renowned not only for its timeless appeal but also for the decades-old gardens.